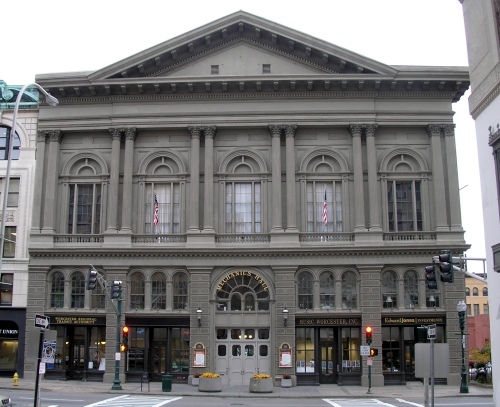 Sunday, June 18 — 2nd Annual Coptic Music Concert in the North East, 6 p.m., Mechanics Hall, 321 Main St. If there’s one thing we all know about dads, it’s how much they love their centuries-old hymnals. Nothing like a little fine Egyptian liturgy to bring Father’s Day to a whole new level. David Ensemble comprises a small group of musicians straight outta Cairo combined with Coptic Orthodox performers from across America. For the non-religious scholars among us, Coptic Orthodox is a Christian denomination based on the teachings of Saint Mark and which originated in Egypt, northern Africa and the Middle East. 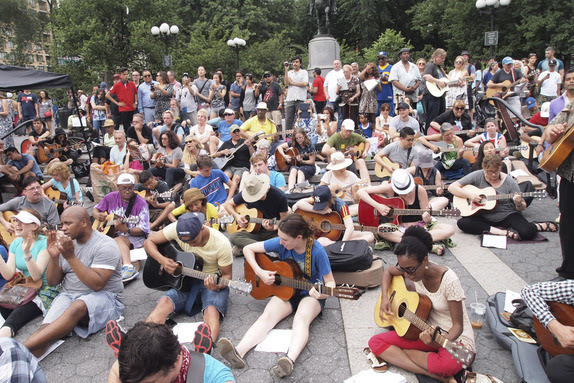 In 2013 a diocese was formed in New York to represent the faith in the Northeast United States. And now they’re spreading the word through traditional music and psalms that date back 5,000 years — give or take a couple millenia. Doors open at 5. Tickets are $30. Tuesday, June 20 — Diane Lewis, Psychic Medium, 6-9 p.m., Hillcrest Country Club, 325 Pleasant St., Leicester I’m hearing a voice from your past … yes, yes — it’s your great aunt, Ruby, still smoking her Chesterfields (I guess, why not? Right?!) and dropping three cherries in her Manhattan. Anyway, she says you’re not busy this Tuesday. In which case, you’ll definitely be interested in meeting Diane Lewis and her tarot cards for a potential psychic reading — and Italian dinner. For $40, you can participate in a group reading, enjoy the camaraderie of your fellow believers and stuff your face with stuffed shells, meatballs, salad and dessert. Aunt Ruby’ll be there, for sure. Non-refundable tickets must be purchased in advance by texting 508-207-5344. 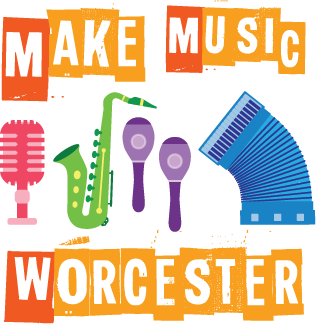 Wednesday, June 21 — Make Music Day Worcester, 10 a.m.-8 p.m., various locations First day of summer. Longest day of the year. There’s got to be music in the air. Since 1982, when Make Music Day debuted in France, indeed, there has been. Now in more than 750 cities and 120 countries, Worcester folks finally decided this thing was legit. Performers of myriad genres and abilities will fan out across the city at 22 official locations mostly concentrated downtown and in surrounding neighborhoods. Seek out local favorites like Zack Slik, Chuck & Mud or Kayla Daly, or simply stroll the streets and get just the right sweet, summery song stuck in your head. Thursday, June 22 — World’s Largest Swimming Lesson, 9:30 a.m.-8 p.m., YWCA of Central Massachusetts, 1 Salem Square Ironically, this sounds dangerous. But, of course, it’s all about safety and saving lives. Since its introduction in 2010, the global public relations event has seen nearly 200,000 kids and guardians participate in 41 countries. And this is no stunt to get you into the closest water park: A 2014 survey by the American Red Cross unearthed a startling statistic: 54 percent of Americans either can’t swim at all or do not have the basic swimming skills. The YWCA of Central Mass., always at the ready to help young families in and around Worcester, serves as the local host — the only in the region and one of five in Massachusetts — and will hold six sessions for varying skill levels throughout the day. 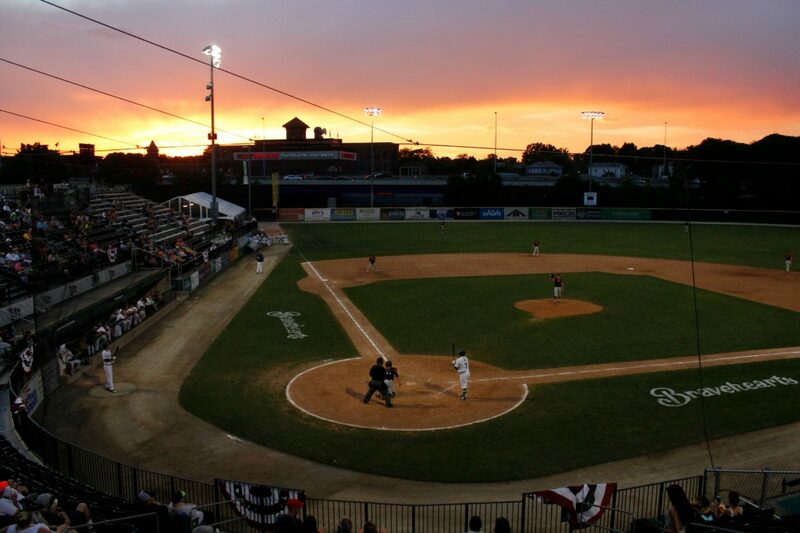 Friday, June 23 — Worcester Bravehearts vs. Nashua Silver Knights, 7:05 p.m., Hanover Insurance Park at Fitton Field, 1 College St. “You may take our pitches, but you’ll never take our Fitton! !” It’s been tough staying away from the William Wallace/”Braveheart” movie references, so when they’re playing the Silver Knights we’re pretty much obligated. Fitton Field, indeed, has been home to one of the proudest, fiercest teams in the Futures League the last three years, but the ’Hearts — ike most of the rest of the league — are still searching for their fighting form, taking a 6-6 record after a Friday night rainout into the weekend. The Bravehearts play the Silver Knights Friday. Outfielder Trevor Johnson, son of former major leaguer Mark, has had a hit in each of his nine starts, including a pair of three-hit games. Tickets start at $6. Ongoing, through June 30 — “Crossroads” by Athena Parella, 9 a.m.-8 p.m. (noon-9 p.m. weekends), Gallery 372, 372 Chandler St. In real estate, it’s all about location. Business is often about being in the right place at the right time. For young city-bred artist Athena Parella, her monthlong exhibition is about liminal space — that anxious, disorienting gap between what was and what will be. A time of transition. “In these moments,” she writes, “we wallow in a purgatory of loneliness and bewilderment. This surreal feeling of in-betweenness is … the central theme of my series.” Free and open to the public.